This is the most popular excursion from Marrakech, however if it is doesn’t satisfy your appetite, there are also a few other tours from the city to tryout. For instance, many visitors and locals suggest that you could visit the Ouzoud waterfalls or the Ourika Valley. The waterfalls are amazing and definitely a must if you have some extra time while in Marrakech. Another thing you could enjoy in the surroundings of Marrakech is a traditional camel ride in the Palmeraie. experience in Morocco, Marrakech and Essaouira. These breathtaking places should have their spot on your must-visit resolution this year. We couldn’t express the cultural mixture and difference that you will experience on your visit here. Bigger cities can sound and look a bit intimidating, since crowdedness is symbolic for them. 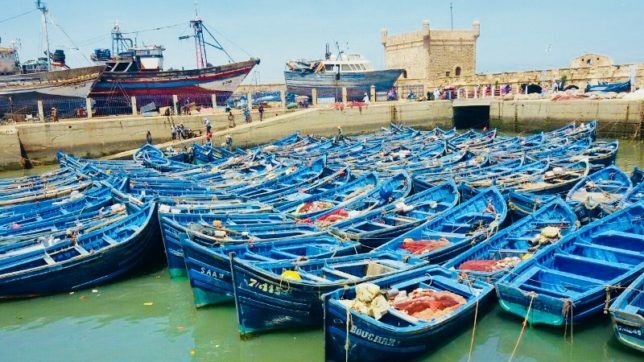 But you can always run away to places like Essaouira and calm your mind and your body. We are most definitely positive that once you come here, you will crave to come back again.